When you are looking for rugged, picturesque scenery, natural resources and modern comforts, Campbell County is your destination for the ultimate western excursion. The Campbell County Convention and Visitors Bureau is committed to providing you with detailed, prompt and accurate information and resources that will help you make your next trip monumental. Campbell County, Wyoming, situated in the Powder River Basin of northeast Wyoming, is the “Energy Capital” of the United States. And that is a monumental story. The railroad provided the impetus to create the town of Gillette, even before Wyoming was a state. However, it was the oil and coal booms of the 1970s that made the area the “Energy Capital” that it is today. 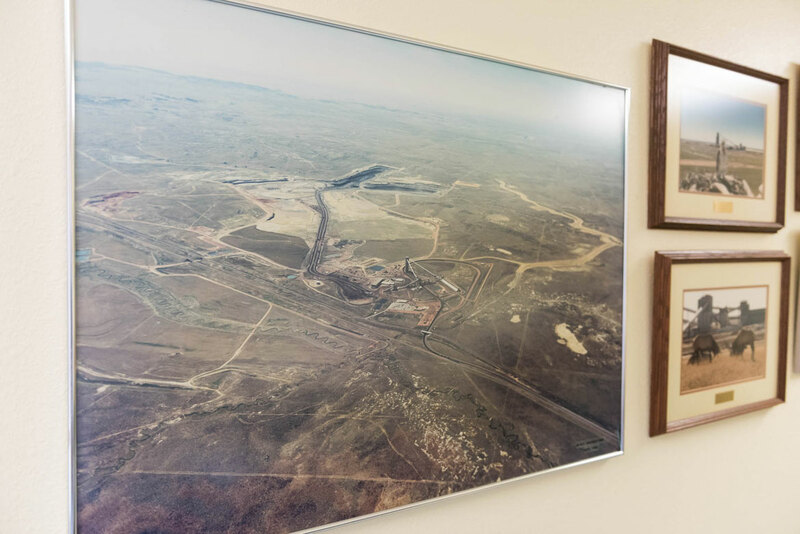 Open pit coal mines work around the clock to provide our nation’s electricity. 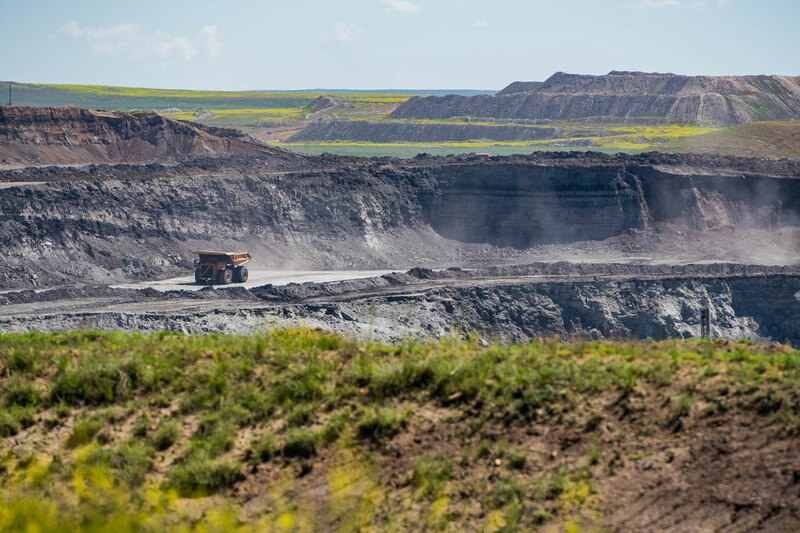 The Powder River Basin produces 40% of the nation’s coal and is the largest supplier in the United States. Coalbed methane and oil add to the mineral richness of the county. Wright is the second largest community in Campbell County and lies 38 miles south of Gillette. The town is located in the middle of grasslands that were once homesteads for farmers who inhabited the area. These communities are rich in many ways and provide the amenities available to visitors that are second to none in Wyoming. Stop in and experience the extensive facilities open to the public. Early homesteaders found deposits of coal close to the surface. This provided an inexpensive way to heat their homes. Beginning in 1909, small underground coal mines were built around the county. In 1924, the Wyodak surface coal mine was developed. It was one of the country’s largest surface mines for many years. Today, it continues to produce coal for the nearby power plant. The Powder River Basin coal is remarkably valuable in that it has a very low sulfur content and is relatively clean burning. For this reason, during the 1970s large surface mines were built to produce coal that would be shipped by train to the Midwest and points beyond. Today, this area is the largest producer of coal in the United States, thus the name, “Energy Capital” of the United States. In 2009, more than 416 million tons of coal were shipped out of the Powder River Basin. In 2009, Campbell County had 13,470 producing wells with a total oil production of almost 7.5 million Bbls. Wyoming ranked 7th nationally in production of crude oil and 2nd in natural gas production. Wright, originally developed by Atlantic Richfield, is located in the heart of the Powder River Basin. The economy is spurred by the energy development consisting of agriculture, oil, gas and coal. A wide range of business services is offered in this town. Wright, the second largest community, was planned and established by Atlantic Richfield Company as they built the Black Thunder Coal Mine.